Become a Logistics Plus® carrier partner and join our network. We’re one of the fastest-growing transportation and logistics companies in the country. 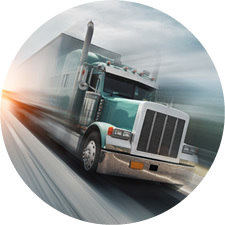 We offer steady freight, reliable support, and prompt payment. When you haul a load for Logistics Plus, you can rest assured that you’re working with one of the best 3PL brokers in the industry. You’ll receive 24/7/365 support, you’ll be treated with respect and you’ll be paid quickly. We’re well-known in the transportation and logistics industry as being a top choice for national, regional, and specialized freight carriers. We’re always looking for safe, reliable carriers to join our network. To download our CARRIER PACKET, simply click the image below. 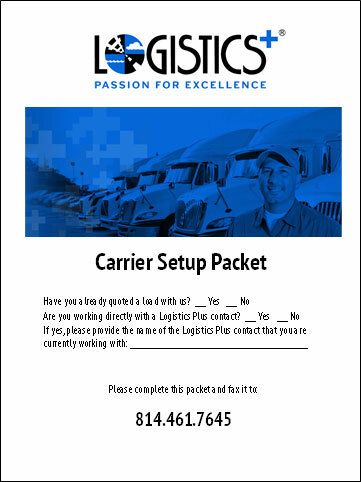 Please complete the PDF document and email it to carriersetup@logisticsplus.net or fax it to 814.461.7645 (this packet is for asset-based carriers only, no brokers please). Be sure to let us know if you’re currently working with us on a load or with a Logistics Plus contact on the cover page. Thank you!